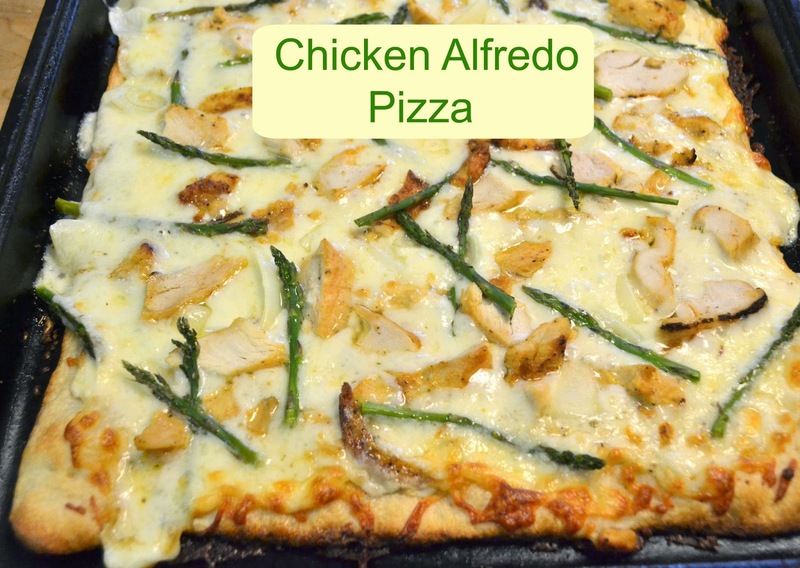 This tasty Chicken Alfredo Pizza is a very tasty variation you should try! I usually make it with my bbq chicken pizza when we are having friends over on a Saturday evening. I used some fresh asparagus tips on my pizza, but feel free to play around with your toppings! Mushrooms or onions would be great too! Jan's Tip: I used some precooked grilled chicken strips to speed up my meal, but you can easily use some leftover grilled chicken or some shredded chicken from a store bought rotisserie chicken too. optional toppings: fresh asparagus tips, onions, mushrooms, etc. Top pizza crust with alfredo sauce. layer with cheese, then chicken, then optional toppings. Bake 400 ° for 12-15 min. till cheese is melted and bubbly. Really tasty! I'm not a fan of Alfredo, but I decided to make this because my boyfriend loves chicken alfredo so much. It was actually really good! Great flavor. Im so glad you liked it! Thanks for letting me know!